In a move that comes way out of left field, AT&T and T-Mobile officially announced today that the former will be buying the latter for $39 billion. This is contrary to what we've been hearing around the 'net that Sprint was the one likely to be making the purchase, but in some ways, a merger with AT&T does make more sense. For starters, AT&T and T-Mobile both use GSM, while Sprint relies on CDMA. Taking things a step further, AT&T and T-Mobile are both building out HSPA+ for their "4G" network now and have LTE spectrum in their arsenal, while Sprint uses WiMAX (although rumor has it they're making a switch to LTE). The press release claims that customers will see service quality and coverage improve significantly, with five years worth of new towers being added to the network. The combination will also allow them to expand their LTE footprint thanks to the added spectrum. On the other side of the argument, Sprint and T-Mobile are the third- and fourth-largest US carriers; a merger between the two could have created a company large enough to properly compete with AT&T (second) and Verizon (first). Further, T-Mobile and Sprint both share a cost-leadership strategy, with the companies offering data plans at significantly lower prices than the big dogs. It's hard to say where things will go from here. The merger is obviously pending regulatory approval, but it seems likely that the deal will go through. The release states that AT&T will incorporate T-Mobile, but does that mean an end to T-Mobile's bargain pricing, leaving Sprint the only company to offer plans at a low price? Or will they somehow continue to keep T-Mobile plans around, maintaining both? And how will this affect the competition? The companies say it will take a year to complete the process, and the combined entity will have roughly 130 million subscribers. For more details, the press release is copied below. Vote in the poll, and then let us know what you think via the comments. Update #1 by Artem: T-Mobile posted an FAQ with some info related to the acquisition. Looks like T-Mobile is staying relatively independent of AT&T for the time being, but it's surely going to change as the merger progresses. "Should I wait to sign-up with T-Mobile USA or upgrade my phone? No, T-Mobile USA offers the latest wireless devices that are affordable on America’s Largest 4G Network and the combination of AT&T and T-Mobile USA will mean even stronger service for our customers. Now is a great time to be a T-Mobile customer." Update #2 by Artem: As All Things D reminds us with the brilliantly named T-Mobile: We Were Totally Kidding About AT&T’s Crappy Network! T-Mobile has been bashing AT&T for a good number of years. Oh, the irony. What are your thoughts on AT&T's purchase of T-Mobile? Oh damn. Time to move to Verizon/Sprint. I'm glad - the combination should provide a coverage/speed powerhouse! I wish Sprint had made the purchase. Verizon and Sprint are doomed. 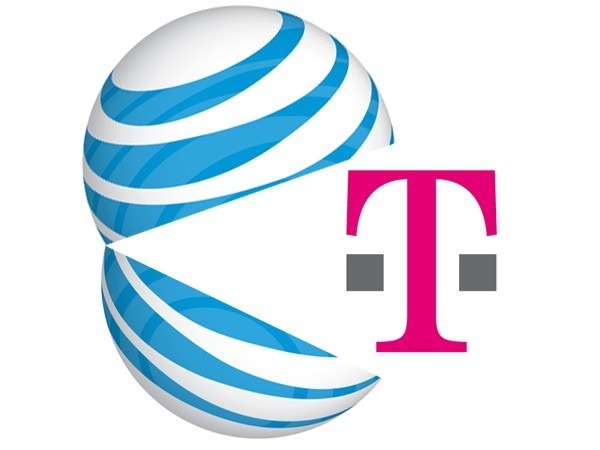 DALLAS & BONN, Germany--(BUSINESS WIRE)--AT&T Inc. (NYSE: T) and Deutsche Telekom AG (FWB: DTE) today announced that they have entered into a definitive agreement under which AT&T will acquire T-Mobile USA from Deutsche Telekom in a cash-and-stock transaction currently valued at approximately $39 billion. The agreement has been approved by the Boards of Directors of both companies. "This transaction represents a major commitment to strengthen and expand critical infrastructure for our nation's future"
AT&T's acquisition of T-Mobile USA provides an optimal combination of network assets to add capacity sooner than any alternative, and it provides an opportunity to improve network quality in the near term for both companies' customers. In addition, it provides a fast, efficient and certain solution to the impending exhaustion of wireless spectrum in some markets, which limits both companies' ability to meet the ongoing explosive demand for mobile broadband. With this transaction, AT&T commits to a significant expansion of robust 4G LTE (Long Term Evolution) deployment to 95 percent of the U.S. population to reach an additional 46.5 million Americans beyond current plans – including rural communities and small towns. This helps achieve the Federal Communications Commission (FCC) and President Obama's goals to connect "every part of America to the digital age." T-Mobile USA does not have a clear path to delivering LTE. "This transaction represents a major commitment to strengthen and expand critical infrastructure for our nation's future," said Randall Stephenson, AT&T Chairman and CEO. "It will improve network quality, and it will bring advanced LTE capabilities to more than 294 million people. Mobile broadband networks drive economic opportunity everywhere, and they enable the expanding high-tech ecosystem that includes device makers, cloud and content providers, app developers, customers, and more. During the past few years, America's high-tech industry has delivered innovation at unprecedented speed, and this combination will accelerate its continued growth." Stephenson continued, "This transaction delivers significant customer, shareowner and public benefits that are available at this level only from the combination of these two companies with complementary network technologies, spectrum positions and operations. We are confident in our ability to execute a seamless integration, and with additional spectrum and network capabilities, we can better meet our customers' current demands, build for the future and help achieve the President's goals for a high-speed, wirelessly connected America." Deutsche Telekom Chairman and CEO René Obermann said, "After evaluating strategic options for T-Mobile USA, I am confident that AT&T is the best partner for our customers, shareholders and the mobile broadband ecosystem. Our common network technology makes this a logical combination and provides an efficient path to gaining the spectrum and network assets needed to provide T-Mobile customers with 4G LTE and the best devices. Also, the transaction returns significant value to Deutsche Telekom shareholders and allows us to retain exposure to the U.S. market." This transaction quickly provides the spectrum and network efficiencies necessary for AT&T to address impending spectrum exhaust in key markets driven by the exponential growth in mobile broadband traffic on its network. AT&T's mobile data traffic grew 8,000 percent over the past four years and by 2015 it is expected to be eight to 10 times what it was in 2010. Put another way, all of the mobile traffic volume AT&T carried during 2010 is estimated to be carried in just the first six to seven weeks of 2015. Because AT&T has led the U.S. in smartphones, tablets and e-readers – and as a result, mobile broadband – it requires additional spectrum before new spectrum will become available. In the long term, the entire industry will need additional spectrum to address the explosive growth in demand for mobile broadband. AT&T and T-Mobile USA customers will see service improvements - including improved voice quality - as a result of additional spectrum, increased cell tower density and broader network infrastructure. At closing, AT&T will immediately gain cell sites equivalent to what would have taken on average five years to build without the transaction, and double that in some markets. The combination will increase AT&T's network density by approximately 30 percent in some of its most populated areas, while avoiding the need to construct additional cell towers. This transaction will increase spectrum efficiency to increase capacity and output, which not only improves service, but is also the best way to ensure competitive prices and services in a market where demand is extremely high and spectrum is in short supply. This transaction will directly benefit an additional 46.5 million Americans – equivalent to the combined populations of the states of New York and Texas – who will, as a result of this combination, have access to AT&T's latest 4G LTE technology. In terms of area covered, the transaction enables 4G LTE deployment to an additional 1.2 million square miles, equivalent to 4.5 times the size of the state of Texas. Rural and smaller communities will substantially benefit from the expansion of 4G LTE deployment, increasing the competitiveness of the businesses and entrepreneurs in these areas. Increases AT&T's investment in the U.S. The acquisition will increase AT&T's infrastructure investment in the U.S. by more than $8 billion over seven years. Expansion of AT&T's 4G LTE network is an important foundation for the next wave of innovation and growth in mobile broadband, ensuring the U.S. continues to lead the world in wireless technology and availability. It makes T-Mobile USA, currently a German-owned U.S. telecom network, part of a U.S.-based company. Bringing AT&T and T-Mobile USA together will create an impressive workforce that is best positioned to compete in today's global economy. Post-closing, AT&T intends to tap into the significant knowledge and expertise held by employees of both AT&T and T-Mobile USA to succeed. AT&T is the only major U.S. wireless company with a union workforce, offering leading wages, benefits, training and development for employees. The combined company will continue to have a strong employee and operations base in the Seattle area. The transaction will enhance margin potential and improve the company's long-term revenue growth potential as it benefits from a more robust mobile broadband platform for new services. The cash portion of the purchase price will be financed with new debt and cash on AT&T's balance sheet. AT&T has an 18-month commitment for a one-year unsecured bridge term facility underwritten by J.P. Morgan for $20 billion. AT&T assumes no debt from T-Mobile USA or Deutsche Telekom and continues to have a strong balance sheet. The transaction is expected to be earnings (excluding non-cash amortization and integration costs) accretive in the third year after closing. Pro-forma for 2010, this transaction increases AT&T's total wireless revenues from $58.5 billion to nearly $80 billion, and increases the percentage of AT&T's total revenues from wireless, wireline data and managed services to approximately 80 percent. This transaction will allow for sufficient cash flow to support AT&T's dividend. AT&T has increased its dividend for 27 consecutive years, a matter decided by AT&T's Board of Directors. On Monday, March 21, 2011, at 8 a.m. ET, AT&T Inc. will host a live video and audio webcast presentation regarding its announcement to acquire T-Mobile USA. Links to the webcast and accompanying documents will be available on AT&T's Investor Relations website. Please log in 15 minutes ahead of time to test your browser and register for the call. The webcast will be available for replay on AT&T's Investor Relations website on March 21, 2011, starting at 12:30 p.m. ET through April 21, 2011. An archive of the conference call will also be available during this time period. To access the recording, please dial +1 (877) 870-5176 within the U.S. or +1 (858) 384-5517 outside the U.S. and enter reservation code 29362481#.